General Info The MSCA is a Mississippi registered non-profit corporation dedicated to the following aims: Encourages the study and knowledge of the game of chess, for its own sake as an art and for enjoyment, but also as a means for the improvement of our society. 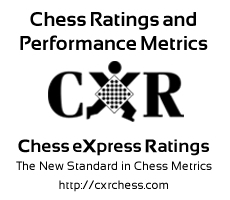 Supports the development of local chess clubs and regional associations; informs, educates, and fosters the development of players and potential players. Promotes chess in Mississippi schools as a means of improving the problem-solving and critical thinking skills of our children. Number of players displayed: 247.